FIFA ranking: Nigeria drop nine places to 50 – Royal Times of Nigeria. 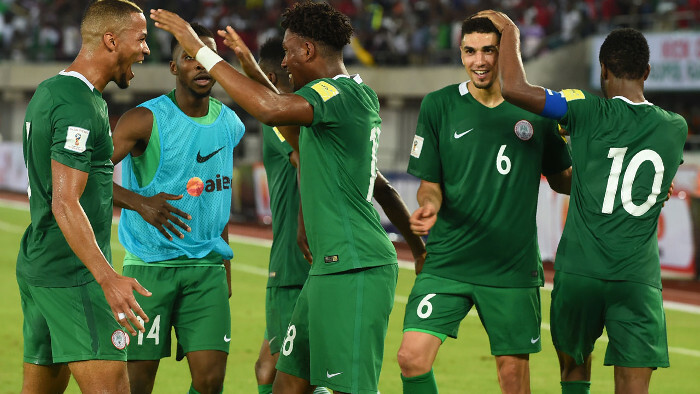 The Super Eagles of Nigeria dropped nine places to 50th position on the latest FIFA ranking despite defeating Argentina 4-2 in a recent friendly. Nigeria ranked 41st in the world and 5th in Africa last month, are now 8th on the continent. Senegal rose to their highest ever position on the ranking, berthing at 23rd globally and first in Africa. They leapfrogged fellow Russia 2018 qualifiers Tunisia (27th, up 1) and Egypt (31st, down 1). The ranking’s top five – Germany, Brazil, Portugal, Argentina and Belgium all maintained their positions from the October edition.